The S beam load cells required to do more work or heavy duty work are made from a corrosion resistant, carbon-steel, nickel-plated alloy. S beam load cells are used for several applications including weighing tanks and industrial process control, static weighing, dynamic weighing, and force measuring operations. 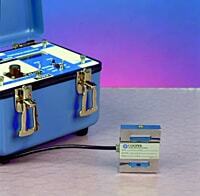 S beam load cells are aptly named for their “S” shape and fall under the beam load cell category of load cells. There are different kinds of beam load cells, and they include: shear beam load cells, single point load cells, heavy duty shear load cells, shear beam load cells, double beam load cells, cantilever load cells, and bending beam load cells. 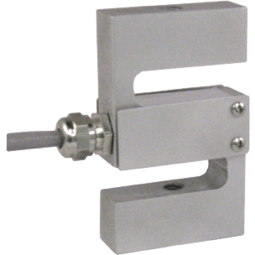 S beam load cells measure both tension and compression, and they are a good choice for performance and versatility as they are made of alloy steel with nickel plating and have a broad assortment of hardware which comes with them. S beam load cells are suitable for smaller silo vessel and tank weighing uses or to build on OEM projects or testing machines. Each S beam load cell has a threaded hole at each end, making it a very versatile and flexible solution. Different accessories can be added to the S beam load cell to add an extra degree of utility or accuracy, depending on your requirements. The threaded hole can also be fitted to a threaded bar, eyebolt, or rod end bearing depending on the manufacturer and the purpose for which the load cell is to be used. S beam load cells have several advantages including cost-effectiveness, high endurance, high side load rejection, better sealing and protection, built in overload protection, single point construction, a wide range of operating temperatures, and both high and low capacities. As with every purchase, there are certain things to consider when purchasing an S beam load cell. The first is the measurement duration and this depends on if the intended load cell application requires a short term duration with tare or a long term duration without tare. Another thing to consider is the output requirement and whether the desired output is digital USB, wireless, or analog. Other factors include options for mounting, operations cost, operating temperature conditions, and measurement speed. S Beam Load Cell Load cells are sensors or transducers that interpret force or pressure as an electrical output that can be measured. S beam load cells are low capacity bending-beam load cells made of aluminum alloy and have a capacity range between 1kg to 5 tons, depending on the application.